As you know from my last post, I have to wait until my health says "yes" to a taping of these Freestyle Footwork videos. 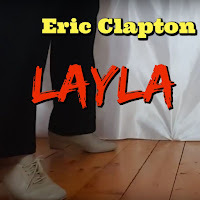 It was a long 14 days after my last video, Layla, that I was able to film again. It was so bad, I thought it had been a month. So when my body whispered "maybe?" I was chomping at the bit. So I devised a plan: find a song that would yank my body past the pain and into my excitement and desire. New video is here! After the jump! It's already here! 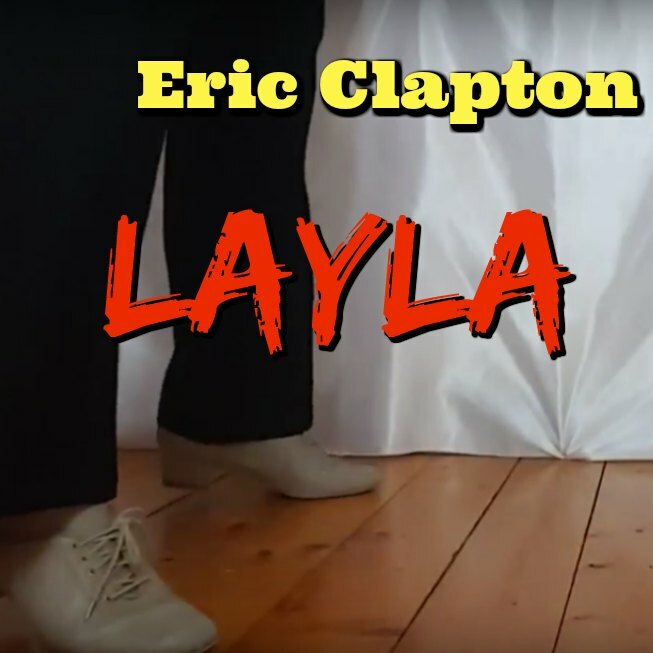 Another full song footwork video has dropped, and this time, it's to one of my favorite WCS songs of all time: Eric Clapton's acoustic version of Layla. For you folks who have been around a while, you'll remember that when this song dropped on MTV's Unplugged, it went viral, and we danced to it like crazy. I never stopped loving it, and still used it my arsenal up until my illness in 2011. That's when I had to quit doing Walk Like an Egyptian and created Secret instead. But I was fighting fate. And so I wrote instead. WCS Freestyle Footwork 4 - First FULL Song Release in 5 Years! 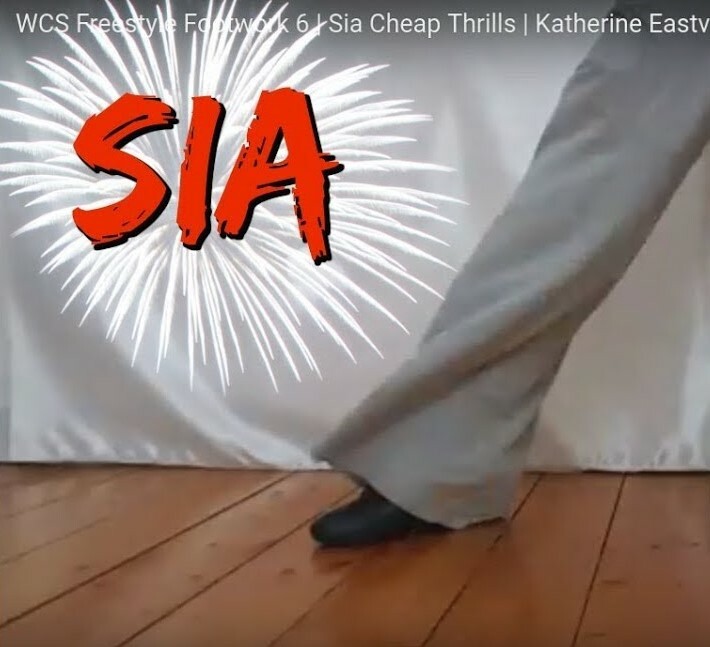 When I created the Freestyle Footwork concept more than a year ago, I had no idea how poor my health was at the time - or how much worse it was about it get. Shortly after taping those three short videos, I learned just how bad my knee really was - a full root tear of the right meniscus. Snapped right off in the middle of a Salsa dance. So I stopped dancing and started rehabbing. 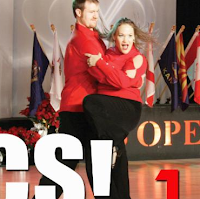 In fact, my time spent rehabbing, up until three months ago, lead me to believe I was done dancing... FOR GOOD. So I said goodbye to that part of my life, and was grateful for the time I had been given. It was hard and it took a long time, but I did it. Then-- suddenly, new doctors, new treatments and most of all - new medicines. I rarely get to dance now... but... I. GET. TO. DANCE!!! Welcome to West Coast Swing! Last summer I mentioned a new series of videos I was working on. I'd finished taping them but they never quite made it online. The timing just didn't work. But that's all in the past! I'm happy to announce that Part One of this four part series is up online on my GetSwingIN YouTube Channel. If you are already subscribed, then you've probably seen the announcement already!